Viviana demonstrated excellent coaching skills adhering to the ICF core coaching competencies. She provided a safe, professional, flexible, and supportive coaching presence. In addition, Viviana used active listening, asked powerful questions, and led the clients to effective planning and goal setting. I found Viviana to be a thoughtful, smart and skilled coach, able to help the client shift a perspective or tackle a disempowering belief with ease. What was most impressive was the fact that Viviana coached so skillfully in her second language! Viviana is a patient, insightful, and goal-oriented coach! She is upbeat and fun to work with! She helps create a clearer path for her client by giving space for thought and questioning how new ideas relate back to the focus of the session! I really enjoyed my experience and recommend others to work with her if you get a chance! Viviana’s coaching style is supportive and solution focused; and, it is also direct and clear, and it facilitates the right time and space to be created in the moment in order to think deeper and find new ideas and best solutions. From being coached by Viviana, I’ve learnt that coaching between people of different cultures can be very stimulating for the deep thinking process and the development of creativity; and, it can be even very powerful, when the coach listens carefully also to the metaphors used by the client. Viviana is very committed and professional in her coaching. She is also very focused on supporting her client in moving forward the desired and agreed coaching results. Thank you very much Viviana for all your support! Viviana has a down to earth, direct and solution-oriented coaching style. She is warm and attentive and I felt she provided a safe place for me where I could explore my concerns and dilemmas. Viviana was very good in wrapping up the process and mirroring my reflections and concerns. It helped me to get clearer on my goal and to find solutions. By summarizing her understanding of my concerns, she came up with valuable insight and points that I had not even thought of. After the coaching with Viviana I got much clearer on the career path I want to create for myself. Viviana’s coaching really helped me with different issues I used to have thanks to her supporting and exploring style. I became more efficient in defining my actions everytime I have a situation where I don’t move forward. Viviana is perceptive, honest and solution focused. She is a good listener and able to give space to the client to think through to the solution. Viviana matched my pace beautifully. She was able to step back to let me process and digest new information. She was also very supportive and empathetic. Viviana has a friendly, open personality and is very professional in her coaching. She is focused on moving the client forward and has a range of exercises and tools to support this process. I will definitely be doing some things differently, better in the future after some of the insights from our coaching. Thank you! Viviana was my Intermediate Coach in the Coaching Cognition School of Online Business. During that time she was very patient with me, she listened to me and asked me questions which helped me gain focus and clarity. The positive shifts in mindset I made have been due to her presence during the coaching. Awesome! Thanks Viviana. Viviana is attentive and respects the need to give the client space to explore and think. She is also affirmative and supportive. She has supported me very well for this round as she gives observations of myself that I would otherwise not be able to see. She has also given me ample space such that I can arrive at my own solution or gain some insights to my issue. Professionally, I have learned to be more comfortable with silence. The space, when used carefully, is powerful as without interruption, I could think deeper into the issue. The silence was useful for me to complete my unspoken thoughts. I was being coached at a time where I was facing a lot of dilemma at work, and even suffered a setback. Through her support, I was able to bounce back quickly, and refocus on my priorities in life. Viviana’s attentive and non-judgmental style is truly a powerful coaching style. Viviana’s coaching style emphasizes on future-thinking. Mapping out a vision of the future you want to create. Viviana has demonstrated strong skills in exploration. She has a good ability to apply questioning from the core that connected me to the intended outcome I’m seeking by obtaining additional clarity. The coaching sessions with Viviana was able to reinforce a positive and professional coaching relationship from follow-through, starting on time, open communication that brought in Trust. Viviana was thorough, gave more than I expected by producing a file for me to have so I can review the information she provided, at my convenience, and she followed up with me more than once to share more information and support. I loved what she shared, and would very happily recommend her services to others.The information I learned from her is crucial for me to move forward with less conflict in my business plan. Viviana is a superb coach—she is knowledgeable, has integrity and is very helpful. She attends promptly to whatever queries I have and gives excellent recommendations. I am totally indebted to her for her invaluable guidance. Viviana is one of my blogger friends that I just knew almost 1 year by now. Through communication we have built via emails and comments, her posts in her blog, I have learned a lot about who she is and what she is doing as a blogger. She uses blog as her strategy to market her own online business and share her thought as a Mom and a Wife. Those status as a Mom and Wife I have them, too so I really enjoy every time I visit her blog and read what she has shared. With her strong personality through her writings and her communication with me, I’m sure I don’t have a doubt to confess that Viviana is one of good potential bloggers and a supportive blogger friends. Viviana is one of those rare individuals I have met who goes wild absolutely teaching everything she has learned to help others. She is an internet coach, a mentor and above all a good friend. She has absolute respect and passion for those who seek to better themselves. My life has totally changed for the good because of her. Viviana is the kind of person I admire the most. She knows the road can be hard, that there are bumps along the way. And if you stumble, she will be there to extend a helping hand. I’ve known Viviana for quite sometime now and something that I admire her is that she has a heart of gold. She cares a lot for others and she unselfishly share her knowledge in internet marketing to others. 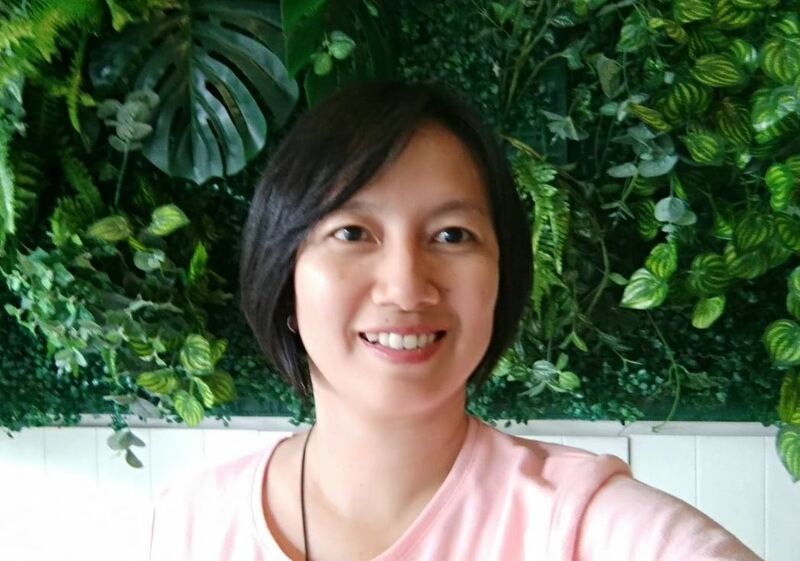 If you want to find a down to earth internet marketing coach whom is knowledgeable, responsible and with integrity, she is the one that I will recommend. I would like to thank you for your continued caring attitude toward building my business with Vemma. I really appreciate your professional, knowledgeable, kind ways of teaching me, how to start my online marketing business. Thanks again and to your success! Viviana is an internet coach, a mentor and a good friend too. She’s always guiding and solve any obstacles in the Vemma business. I am very grateful to her. She is a professional and an expert in website and blog building as well as vemma business. She is a committed and dedicated business woman, you can asked for her help, advice for work at home business, she is a great coach and a good motivator, thank you, Viviana.